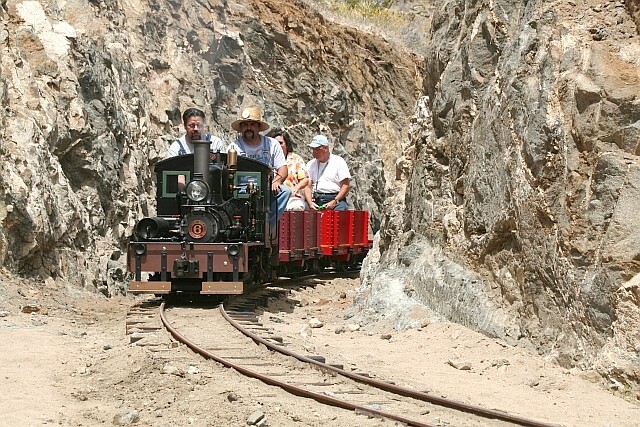 This page of the website follows projects taking place at the Arizona and Pacific Railroad and gives visitors a chance to see the progress that was made in 2009. We managed to get a few things accomplished on the A & P in February. 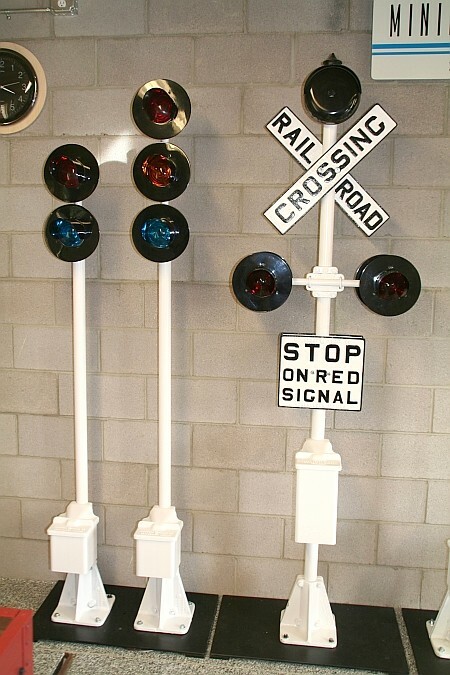 We completed work on the set of original style Miniature Train Company block signals that we have been working on for quite a while. 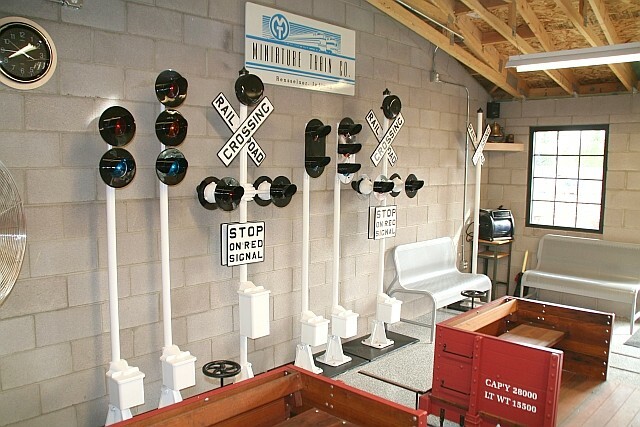 Built from parts we have accumulated over the years, they are fully wired and functional, but we will use them as a MTC display in our engine house along with the pair of later style block signals, MTC crossing signal, Allan Herschell crossing signal, non-electrified crossing signal and MTC crossing gate. The gate still needs rebuilt, but it is complete. 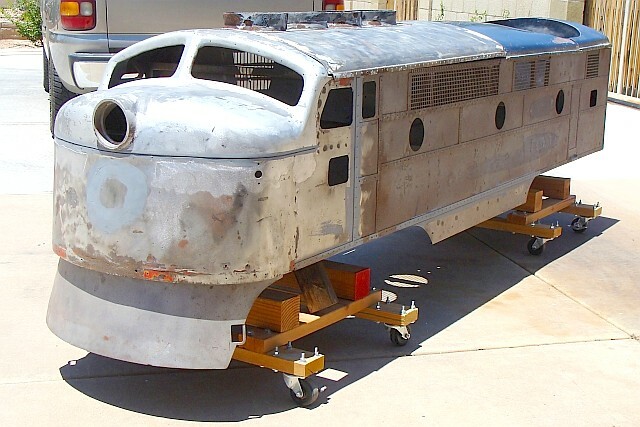 We have completed 99% of the body work on the Sandusky cab, our No. 2, and finally have her mounted on the frame. It sure gives her a different look with the cab and the window frames in place. At first glance our No. 1 and No. 2 look exactly alike, however, they were built nine months apart by the Allan Herschell Company and there are a number of subtle and some not so subtle differences. 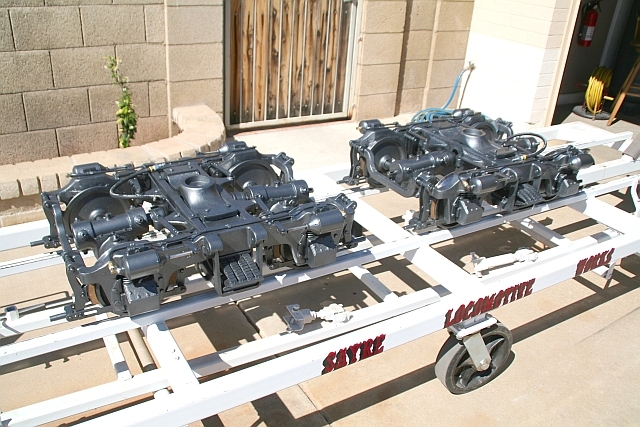 We have been working on rebuilding our G-16 power trucks for a few months as time has permitted. The trucks each received new wheels, all new bearings and seals, new keys, dogbone boots and new brake shoes. 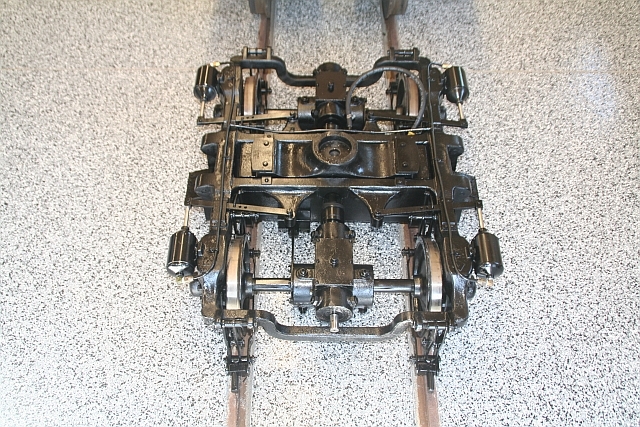 The brake cylinders were each rebuilt and the brake rigging straightened, cleaned and repainted. I still need to build the ¼" copper tubing brake manifolds that operate the vacuum brake cylinders, but that is a project for later in March. The one truck is finished except for the tubing previously mentioned. The second power truck has a couple more weekends of work left before she is completed. Hopefully, both trucks will be 100% complete by the end of March. 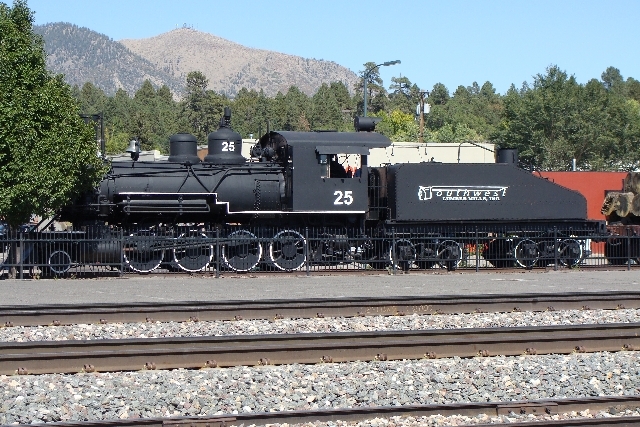 I attended two work days at the Flagstaff and Middle Verde Railroad. I am also working on the third issue of Large Scale Railroading which will be distributed in late April. 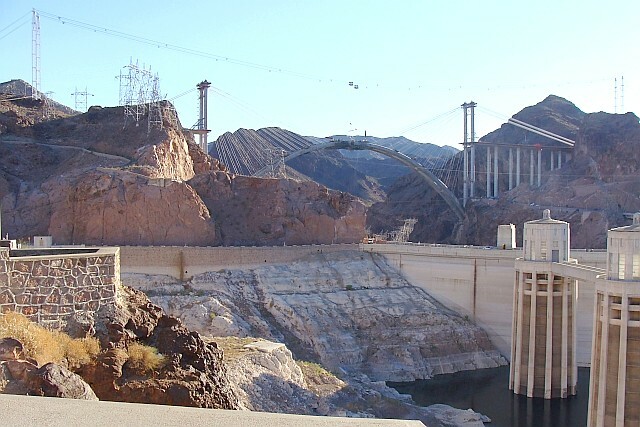 I appreciate your support with that endeavor and your interest in our Arizona and Pacific Railroad projects. January was a very busy railroad month on the A & P, but there isn’t that much to show really. 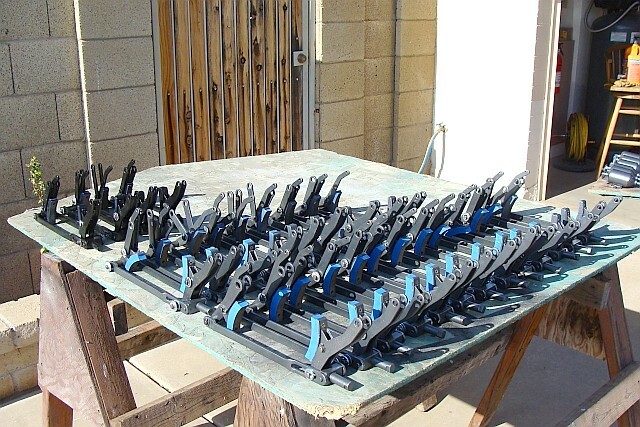 Although they aren’t exactly prototypical, we wanted decoupler levers on each end of our gons. 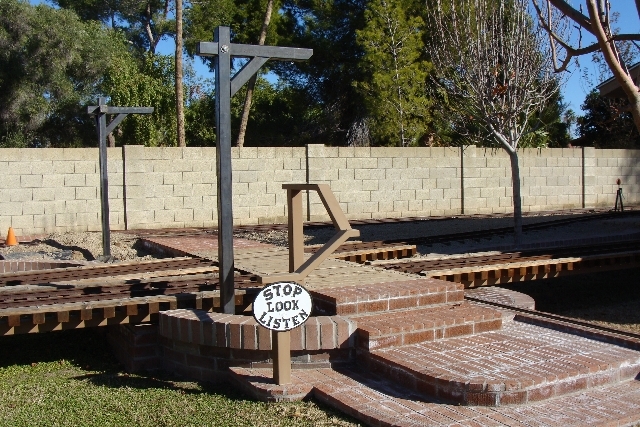 We designed and built the levers which are fully functional. They lift our coupler pin so that the drawbar is released and then the pin slips back into place. They are accessible from both sides of the car. 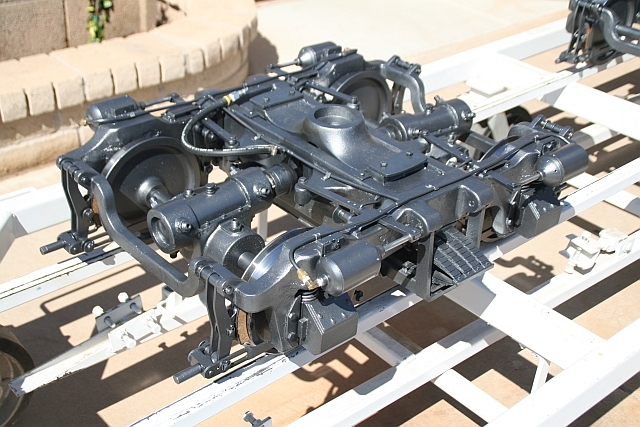 We built four of these assemblies so we would have one on each end of both cars. They all work very well. We also worked on another set of Miniature Train Company block signals we are building from parts we have accumulated over the years. We still have a ways to go to have them together and functional, but got a very good start during the month. I have most of the body work on the Sandusky cab complete and hope to have it finished and mounted in the next couple of weeks if I can just find the time. 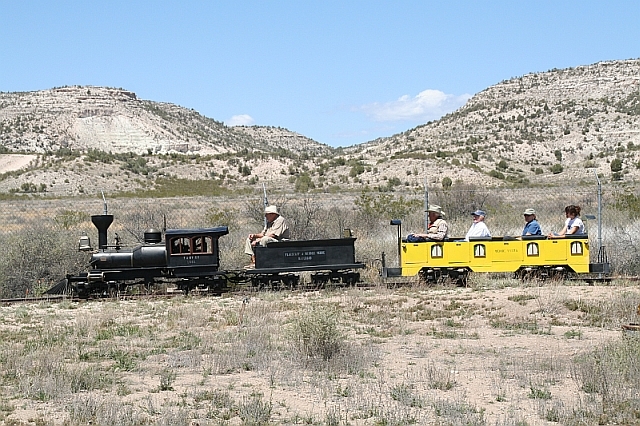 I attended two work days at the Flagstaff and Middle Verde Railroad and the Third Annual Operations Meet of the Maricopa Live Steamers at Adobe Mountain Park. I also managed to get the second issue of Large Scale Railroading completed, printed and distributed. I really appreciate the grass roots support the magazine is receiving. The third issue is in progress at this time. The last six weeks were a blur with various projects and activities here on the Arizona and Pacific as well as other local railroads. We did manage to get a few things accomplished. We got our coupler assembly built and mounted on our speeder No. 1. We still need to get another unit built and mounted on our speeder No. 2. 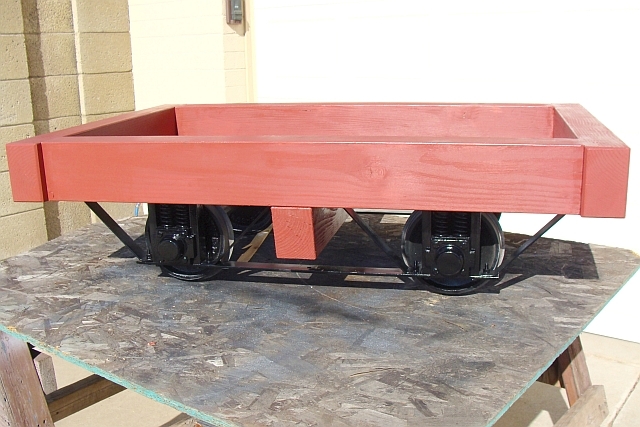 We also made some progress on the two speeder trailers we are building. One is 4 feet long and the other is 6 feet long. We got our couplers welded in place on both ends of both trailers, got them both primed and the shorter of the two is painted. We still need to finish and mount the wood platforms. 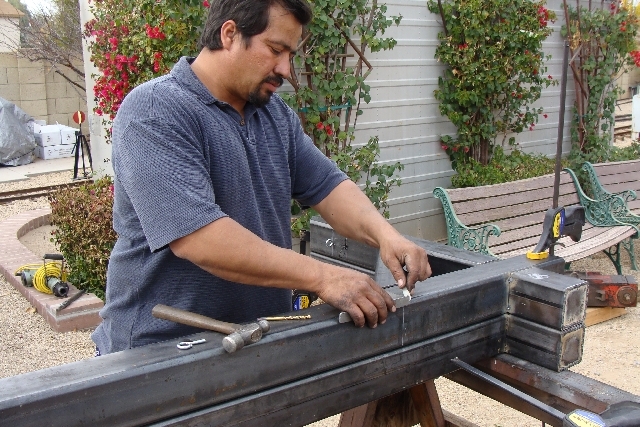 We also built two draw bars to contact each trailer to a speeder or both to one speeder – depending on what we are doing. Speeder No. 1 will get a “makeover” with new paint and a new windshield later this year. 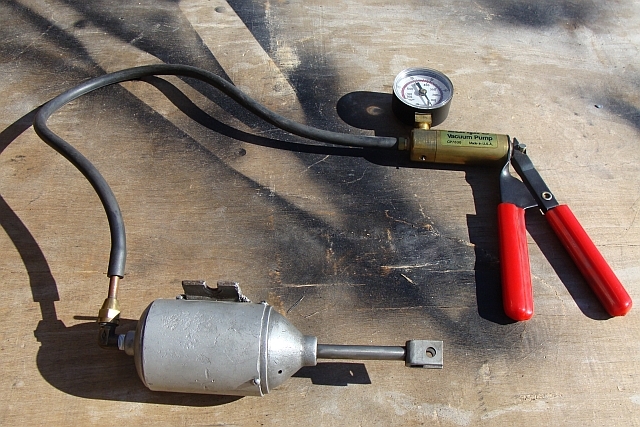 Our G-16 power trucks are completely finished including the ¼ inch plumbing manifold and vacuum hose. 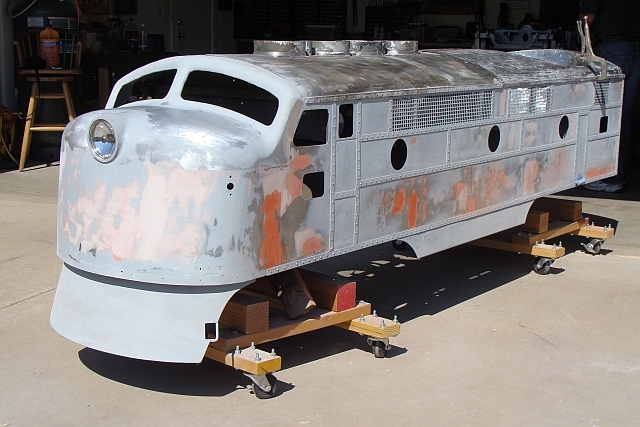 We painted then charcoal grey as our G-16 will sport the traditional warbonnet paint scheme. We are also rebuilding two S-16 power trucks for one of our friends. As many of you know, getting everything apart, cleaned, straightened, primed and painted takes much longer than reassembling everything once it is ready. The abundance of spacers, springs, pins and keys makes the process a tedious one even when you have been through the process many times before. We have one truck near completion and the second is ready to go back together. The S-16 trucks are painted black and will go under a unit that is painted in the old D & RGW “bumble bee” paint scheme and looks pretty cool. We are still doing some minor sheet metal work on the “Sandusky” as there are a couple of areas I am not 100% comfortable with yet, but she is getting close. 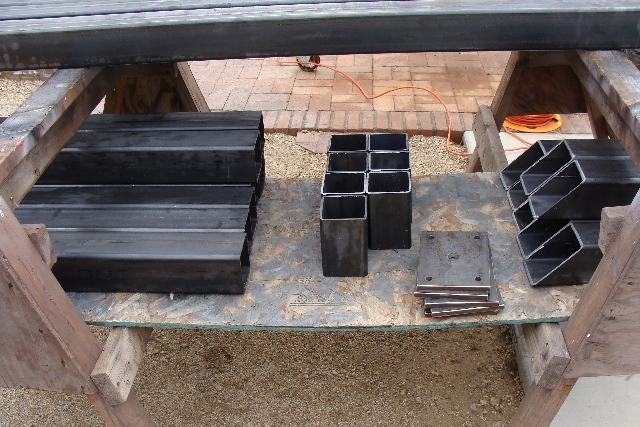 We rebuilt four additional journal boxes with wheels and axles for future use and will rebuild four more. We hosted railroad friends visiting from the mid-west. 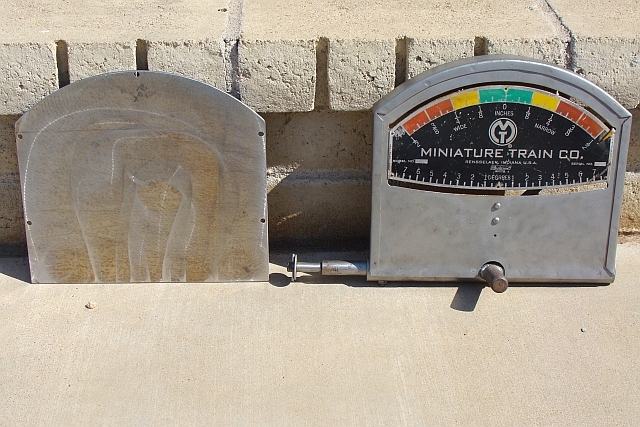 We started restoration on a classic MTC track gauge and a display for our collection of MTC torque wrenches. Spring is here which means spraying for weeds and pulling the ones already here - one of the more romantic parts of railroading … smile. 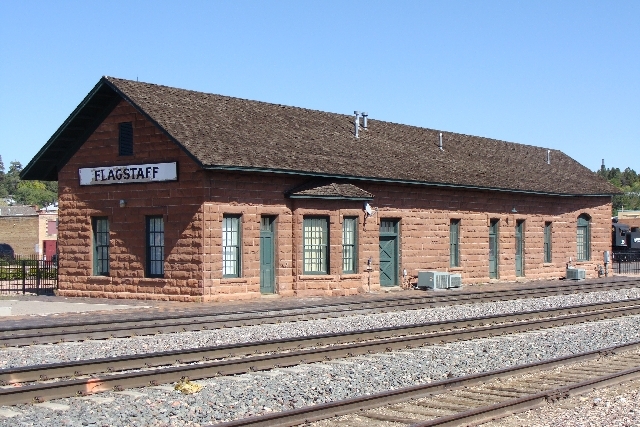 I attended a workday and two open houses on the Flagstaff and Middle Verde Railroad. I finished the 3rd issue of my magazine Large Scale Railroading and got it off to the printer. It will ship in early May. In addition I had business trips to Las Vegas, NV and Los Cruces, NM which ate into my railroad time… Well I think that was about it for the past six weeks, sorry it took so long to get this posted but it has been a bit hectic here. Thank you for checking in on us! 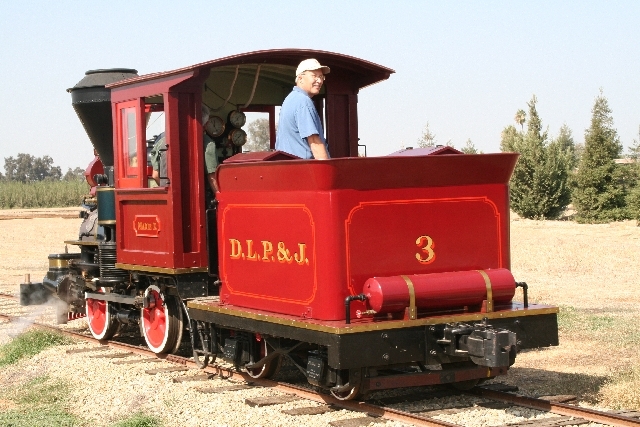 We were fortunate in that we were invited to visit the large scale division of the Joshua Tree and Southern Railroad during their meet May 2. The first run of live steam through their magnificent new cut was witnessed and was spectacular. It is amazing what this small group of really dedicated guys is getting accomplished in this one of a kind terrain. If you have never been there you need to visit and check out their progress. Thanks to Ken, Chris, Brendon, Ace and the rest of the crew. I attended work day on the Flagstaff and Middle Verde on May 9. Engines nos. 1 and 2 as well as the track inspection car were placed in service and performed flawlessly. No. 37 (still under restoration – the power trucks are being restored by us) received a great deal of attention and she is quite an eye catcher. I am looking forward to seeing her reassembled and back in service for the first time in many years. 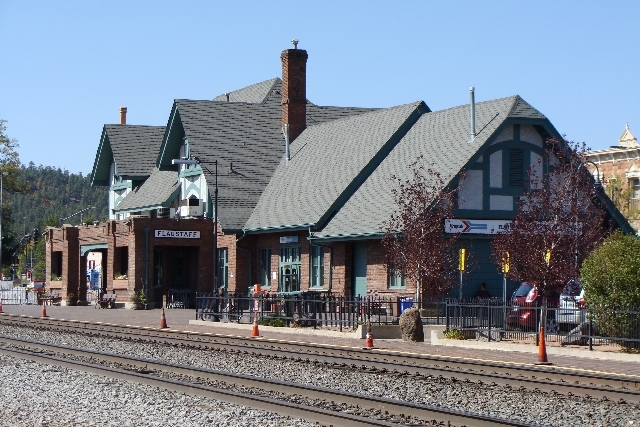 I had a several day business trip to Albuquerque, NM with stops in Flagstaff and Winslow, Arizona the week of May 11. 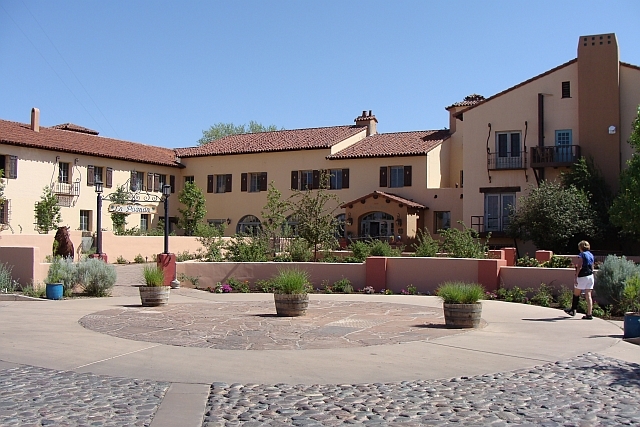 I took a photo of the La Posada hotel which has been lovingly restored to its 1929 elegance. Created by Mary Colter for the Harvey House hospitality empire, the design, courtyards, gardens and interior are each very impressive. 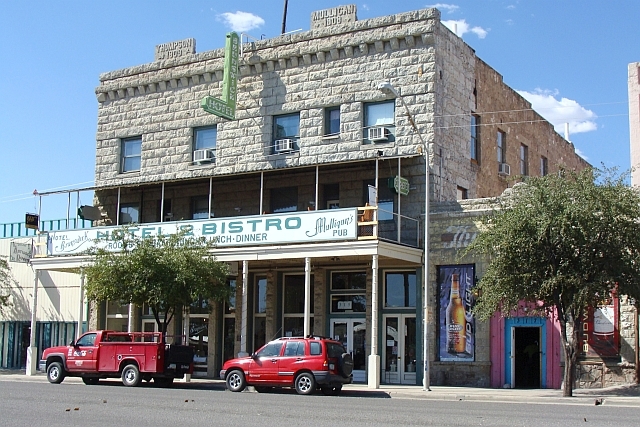 The hotel is again open and serving guests in what was once called the finest hotel in the Southwest. Old route 66 at one time tied together many of the towns in northern Arizona and stretches of the old route are visible in places between Flagstaff and Winslow. 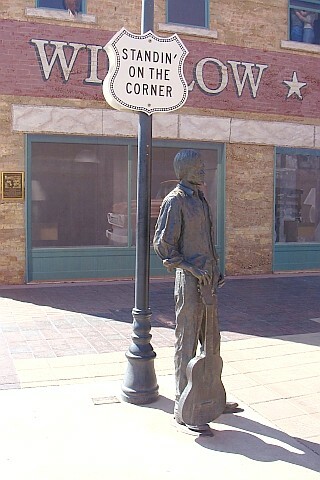 Winslow, Arizona which was once best known as being the headquarters of the Santa Fe Railroad in Arizona was immortalized in 1972 when the Eagles released their first single “Take it Easy”. A statue on the corner, large painted mural and a red flatbed Ford, but alas no girl… commemorate the Jackson Brown/Glenn Frey song. 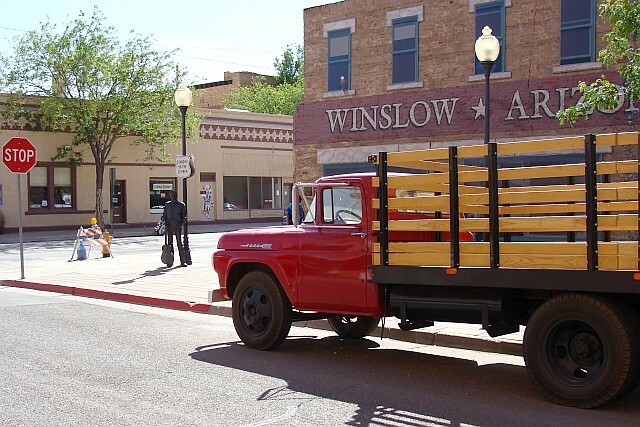 “Well, I’m a standing on a corner in Winslow, Arizona and such a fine sight to see its a girl, my lord, in a flatbed Ford slowin down to take a look at me”. 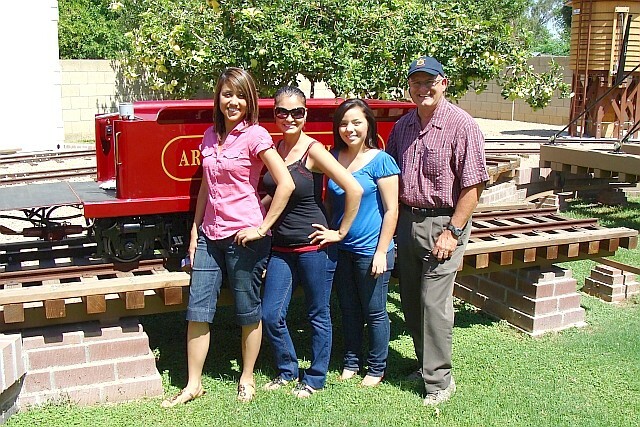 We hosted one of our railroad buddies and his family from extreme northern California. It was getting a little warm here, but everyone still had a good time and all the Arizona and Pacific equipment got a workout. 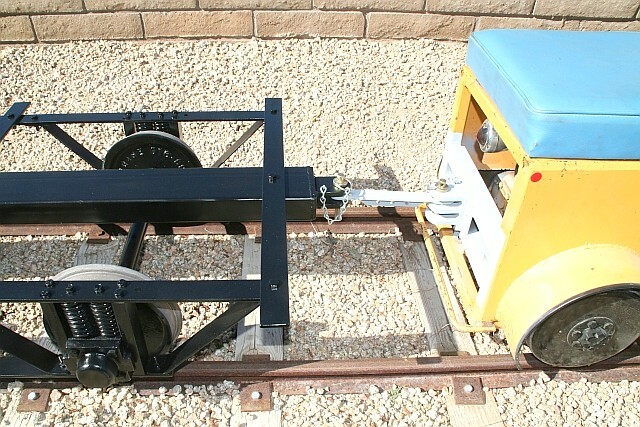 We just completed the two S-16 powertrucks we were rebuilding for the F & MV Railroad. There is a lot of time and work in totally rebuillding a powertruck - or two. We will get them back in Flagstaff in July and hopefully under the S-16 soon after that. 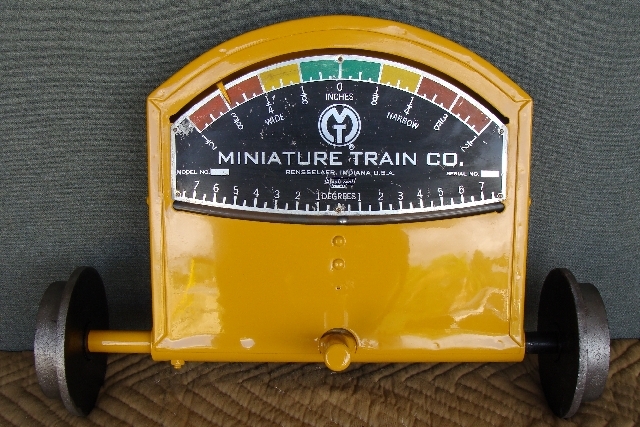 Work continues on the restoration on a classic MTC track gauge and a display for our collection of MTC torque wrenches. One of our friends Marty Melish has some ideas for our wrench display which are far better than mine were… I am looking forward to displaying them in the engine house with our other MTC items. We are well along in finishing rebuilding a G-16 passenger car truck; one of two needed for the coach that will follow our G-16 around our layout. We have three coaches and a B unit, but will get the G-16 and one coach ready to go first. Our G-16 arrived in Peoria this month as planned. We already have several hours in welding, grinding and sanding with a long way yet to go, but we believe she has a great deal of potential. 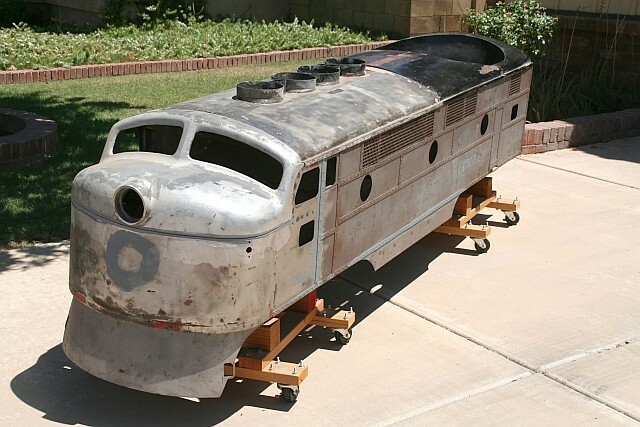 Many years ago, my brother Dave and I purchased two speeders from a downsizing private railroad in the Midwest. Mine has gone through numerous modifications and rebuilds to improve functionality and performance and has been in use here for a number of years. Due to a lack of space here, Dave’s speeder has remained in storage in his garage for all these years. She moved here a week after the G-16; she last ran more than ten years ago. What I had envisioned would be a full day project getting her going again turned out to be anything but that. A new throttle cable, some fresh gas and some carburetor fluid and she started on the third pull – unbelievable! She is a great running unit and far superior to my unit even with all the work mine has received. 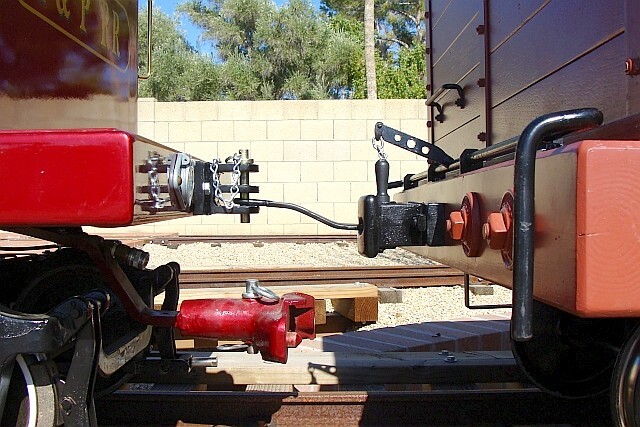 Our G-16 is comprised of the “A” unit, a “B” unit dummy and three passenger coaches. 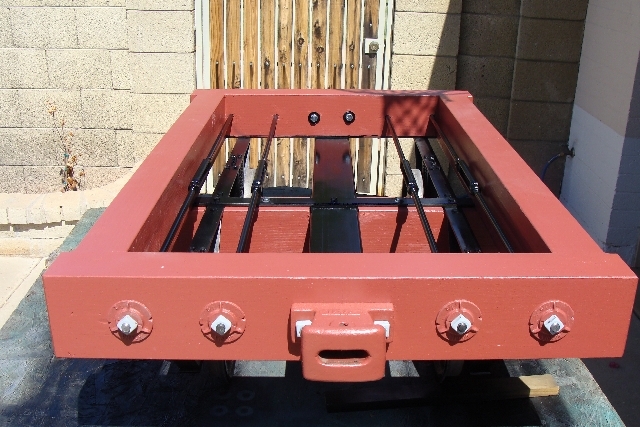 Over the last year or two have we rebuilt all the journal boxes, replaced the wheels, replaced worn axles and replaced damaged springs and plank bearings on 12 passenger trucks. Eight of these will go under the rolling stock of our G-16. Now we are working on rebuilding the vacuum canisters, replacing the ¼ tubing and hoses, straightening, stripping, priming and painting brake rigging and replacing all of the brake shoes. We have phase two completed on two of the eight and are well along on the third one. I attended another work day on the Flagstaff and Middle Verde Railroad in Camp Verde, Arizona – it is even starting to get a bit warm up there for railroading – 103 degrees. I hosted an enthusiastic group from the St. Vincent De Paul Dental Clinic in Phoenix this month. This group does fantastic things in the community for underprivileged children in need of dental care. Dr. Ken Snyder and several of his dental assistants visited the A & P to gather ideas for a project they have in the works. Well, there you have it the list of my accomplishments on the Arizona and Pacific since my last update four weekends ago. It was 111 here today and the pace is starting to slow a bit, but we are still plugging away at it. Have a great Fourth of July everybody!!! 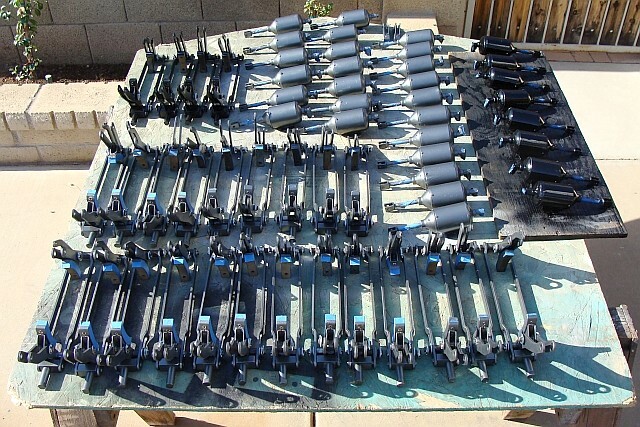 As I shared previously, over the past several months we rebuilt all the journal boxes with new bearings, seals and gaskets, replaced the wheels, replaced worn axles and replaced damaged springs and plank bearings on 12 MTC passenger trucks. Eight of these will go under the rolling stock of our G-16. This month we worked on rebuilding the vacuum canisters, replacing the ¼ tubing and hoses, straightening, stripping, priming and painting brake rigging and replacing all of the brake shoes. Each activity mentioned is more time consuming and in some cases frustrating than you might think. We also devoted time to getting all the brake rigging reassembled. Counting our power trucks and the ones we rebuilt for a friend, we rebuilt 16 trucks and thus 64 sets of brake rigging, 64 vacuum canisters and had to locate and clean 64 sets of rigging pins, spacers, springs and clevis pins. Bolts, washers and multiple sizes of new cotter pins were located or acquired and each set was placed in its own bag until ready to be used. The four power trucks are completely finished as are three passenger trucks. Two additional passenger trucks are close to completion. Now that the rigging and parts are completed and ready to be reinstalled on the trucks, the pace of reassembly on the remaining trucks will pick up a bit but it is still labor and time intensive getting everything together and set up properly. We continue to do body work on our G-16, but spent most of the month working on brake parts. 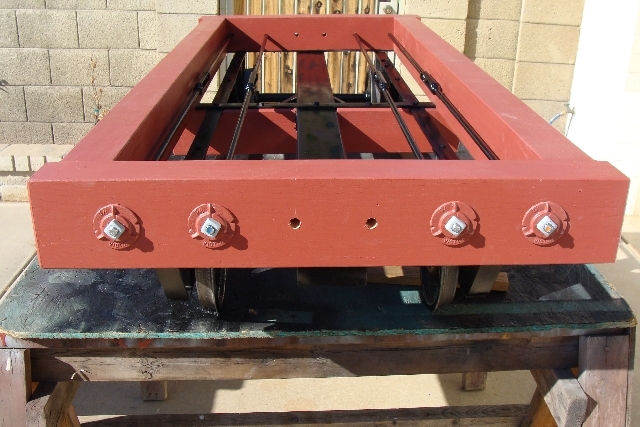 We also made some progress on restoring our MTC track gauge this month. 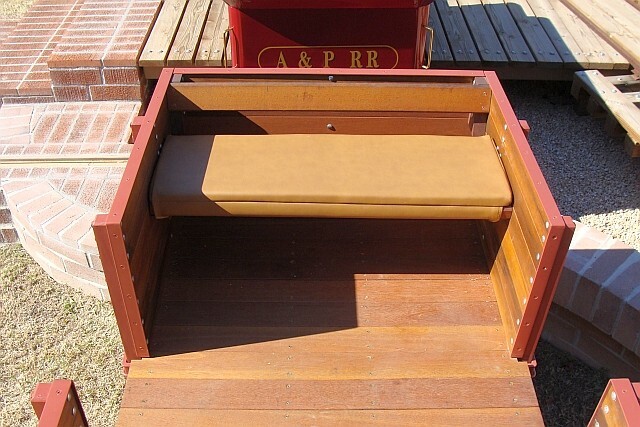 We fabricated a rear panel which was missing when we acquired it and bead blasted the “box”. I have a bit more work to complete before it is ready for paint, reassembly and display. I think it will be a very nice piece for our MTC collection. I attended another work day on the Flagstaff and Middle Verde Railroad in Camp Verde, Arizona. It rained almost all day, but for a guy who lives in the desert and rarely gets to see rain it was great. I enjoyed the day very much and we still managed to get a few things accomplished. 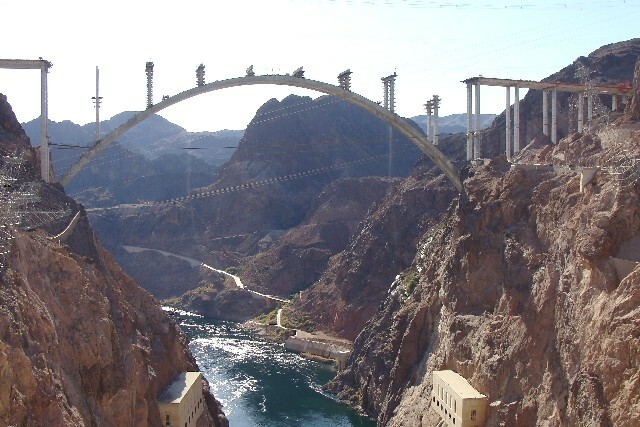 I had a business trip to Las Vegas this month and the bypass bridge being built to divert traffic off of Hoover dam is incredible. I know it isn’t railroad related, but is so cool I thought you might enjoy a photo or two I took as I passed through there. Well, that’s about it from here other than the finishing touches are being placed on issue No. 4 of Large Scale Railroading magazine and it will be out about this time next month. We finally completed the 16th truck of our truck rebuild project. 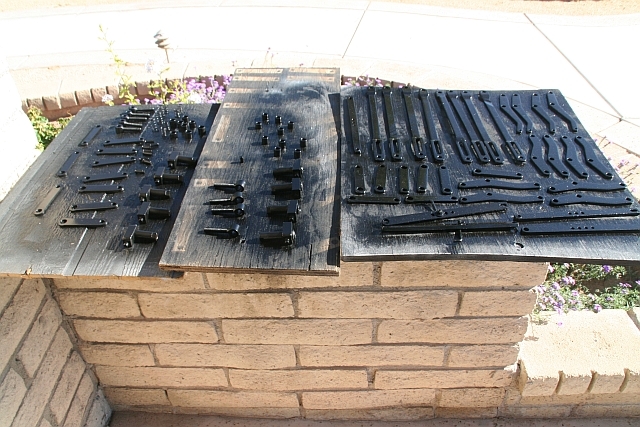 They are painted, covered and safely in storage awaiting completion of our G-16 and passenger cars. They all have new bearings, seals, brake shoes, hoses, quick connect fittings and plumbing. Most have new wheels and some have new axles. All the brake rigging has been disassembled, straightened, bead blasted, painted and reassembled. Plank bearings were replaced as were broken or badly bent leaf springs. 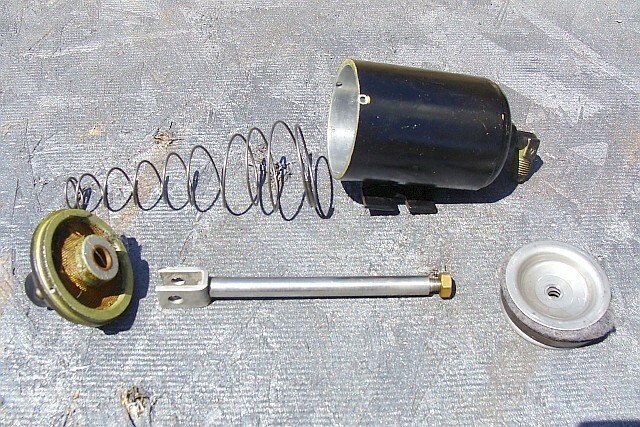 A number of the coil springs were replaced for aesthetic reasons. 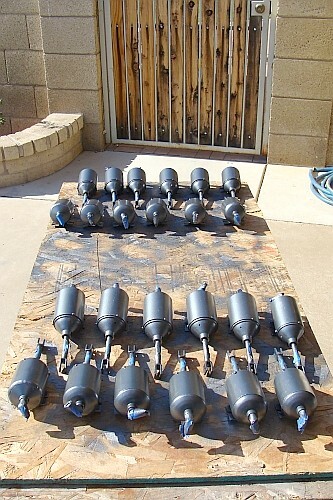 Each of the 64 vacuum canisters was also rebuilt. Our truck rebuild project was a huge undertaking that has taken several months here on the A & P where we only have Sundays and an occasional Saturday to work on our projects. 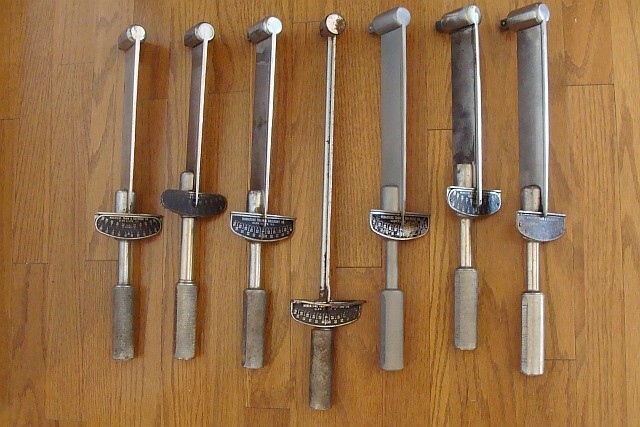 It does give a sense of accomplishment to have them all reassembled and ready for another fifty years of service when they were bent and mangled junk when I drug that stuff in here, some of it in boxes, years ago! Well I thought we were completely finished with our MTC/AH truck rebuilds, but a friend has asked us to rebuild two of his passenger trucks and I have agreed. I attended an interesting “work day” on the F & MV this month. When the F & MV has a railroad open house a large turnout is the norm, thankfully, we weren’t having an open house with a lot of guests on this occasion. We went down to the car barn to do some general cleaning and move one of the cars. The intrusion was not well-received by an uninvited guest that had staked claim to the car barn. 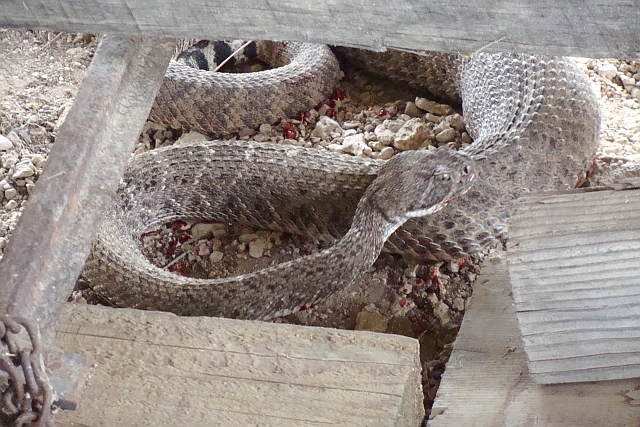 Wow, you talk about having the crap scared out of you… It took a while to get the rattler out from under the car where we were at a disadvantage. Once it was out in the open, the confrontation didn’t last long, but it was still far from one-sided. Gosh those things are scary and dangerous. 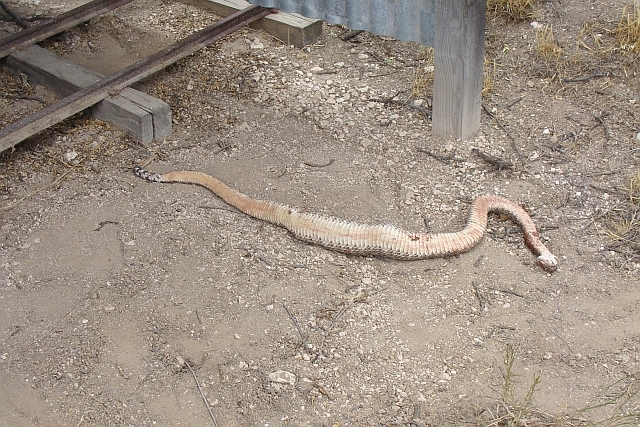 This one was an adult and just over four feet long. The fourteen nodes on the rattle indicate it has shed it's skin 14 times. 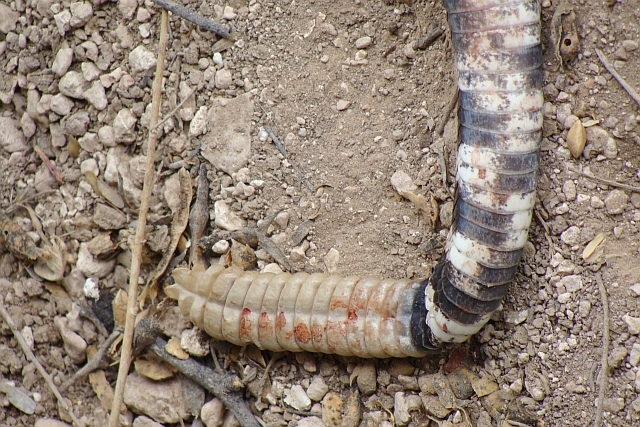 It had eaten within the last day and was slower moving than normal or likely would have gotten at least one of us… Frequently, jackrabbits, quail and gophers are on hand for our work days and an occasional coyote or javalina will make an appearance, but this is the first rattlesnake l have ever seen in 16 years. Malcolm advised it is his second in 40+ years. It was a long, hot month here in Phoenix. 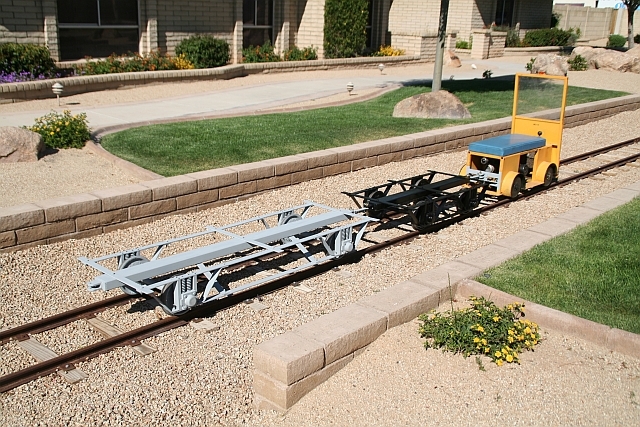 The weather will start changing here soon and it will be time to get the trains out and blow the dust off. I had two irrigations in the backyard during the month and had great water pressure both times; the trees and grass flourish with the nutrients from the lake water. We had two commercial picnic tables and two aluminum patio table umbrellas donated to the A & P RR this month and we very much appreciate the generosity. The picnic tables are great for sitting and lunches and the umbrellas provide more shade in an area where I didn’t have much. All will come in very handy as during open houses, there are never enough places to sit. The umbrellas may look retro 1960, but no, they really are 1960 and in very nice shape. I think they go pretty well with all my collection of 1960ish amusement park stuff. 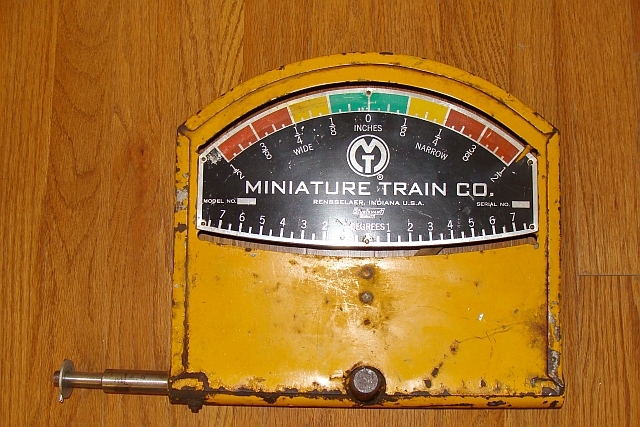 I had hoped to have our MTC track gauge into the shop this month for painting and then have it reassembled. That didn’t happen as I just got too busy with other things. You can see a “before” and “current” shot. Hopefully I will have an “after” shot for you next month. I had to make the rear panel and welded nuts inside the “box” to attach it as the original holes were striped or torn. I also had to make a new axle, find replacement springs and improvise a couple of other missing parts. We continued with limited time during the month performing sheet metal work on our G-16. We replaced the rear bulkhead which was a butchered up mess. It was easier and cleaner to replace it rather than try and repair all the damage done by prior owners. I visited Wickenburg and Kingman this month. 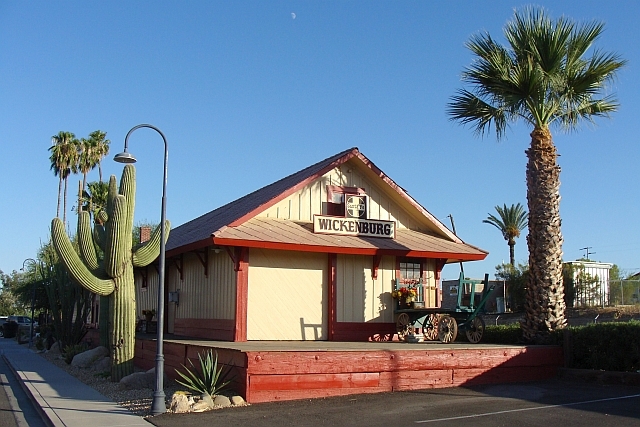 Wickenburg has a rich railroad heritage dating back to the old Santa Fe, Prescott and Phoenix Railway and Kingman was on the original A & P (Atlantic and Pacific) Railroad through northern Arizona. 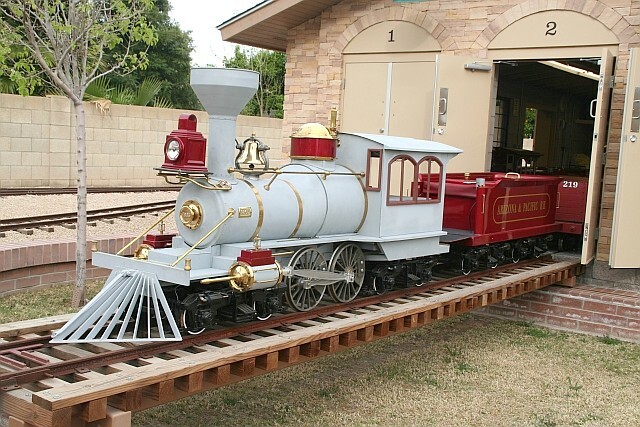 Wickenburg has done a very nice job with restoration of the old SFP & P depot and has a static display steam engine and wooden caboose next door. 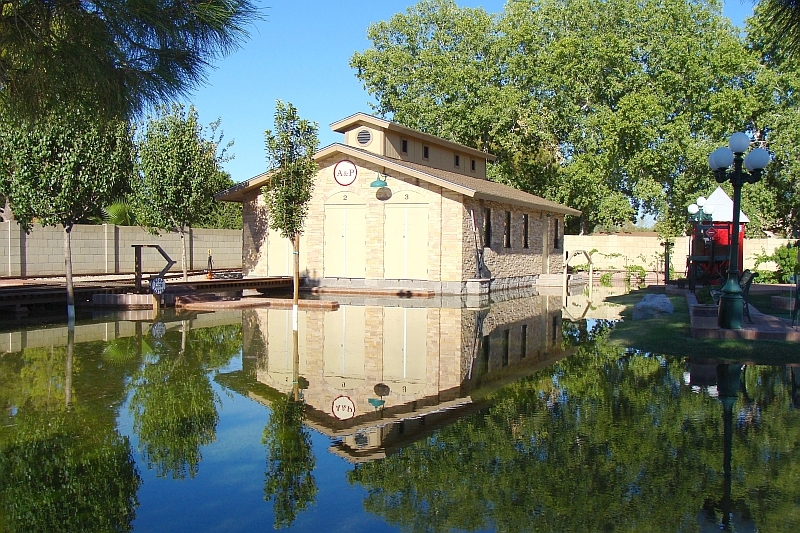 The Kingman depot (1907) is under restoration and the city park has their steam engine on display. 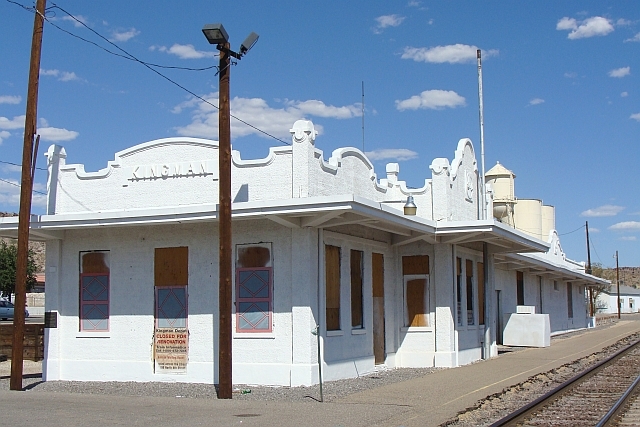 Kingman is also on old route 66 and has a number of cool old buildings and period motels. The fourth issue of Large Scale Railroading magazine is at the printer and will mail later this month. 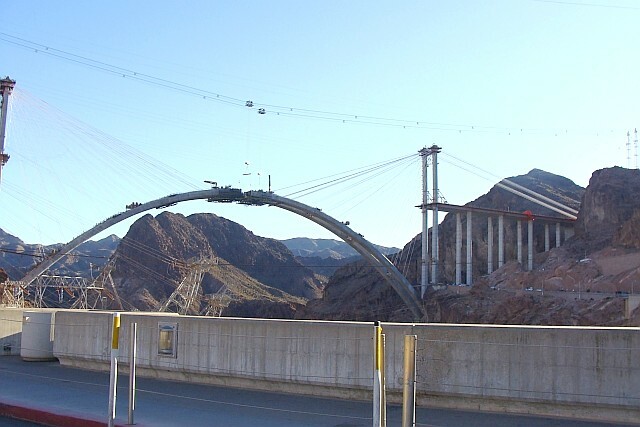 I had another business trip to Las Vegas this month, the arch of the nearby bypass bridge is complete and the support cables have been removed. 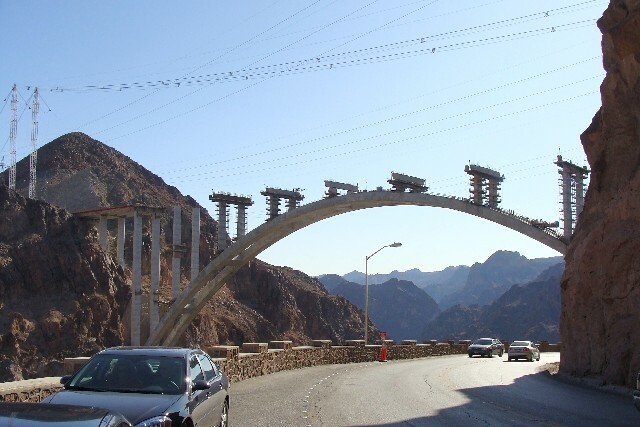 Work has started on pouring the vertical concrete pillars upward from the arch to the roadway level. That thing is so doggone high, I am not sure I even want to drive over it… but it looks cool. Well, that’s about it from here. We spent a great deal of our available time this month working on our two Maintenance of Way trailers. The end sills are mortise and tendoned and pinned with an oak dowel. 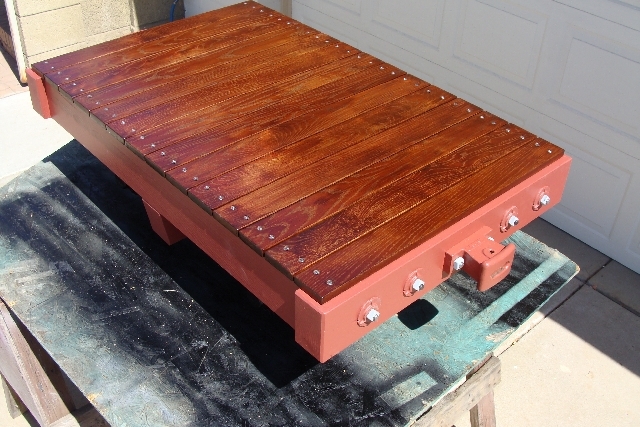 The top slats are White Oak with several coasts of Red Oak stain and attached with countersunk stainless steel screws. 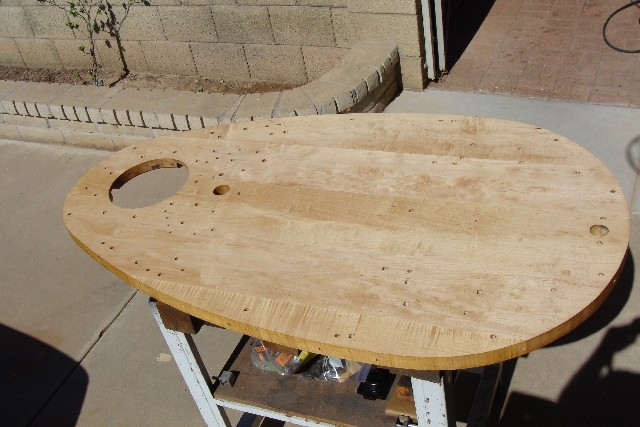 The wood work alone was a big job as every surface is beveled or routed. 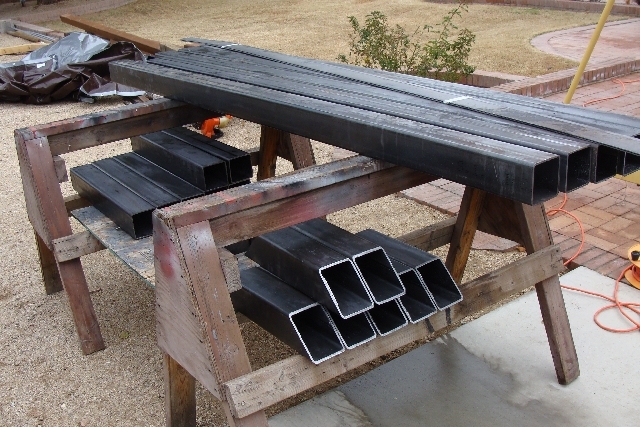 We threaded our own ½ inch diameter cold rolled steel rod for the truss rods. It was fairly standard cutting the right hand threads, but I’m not sure you ever get used to cutting left hand threads for the turnbuckles. 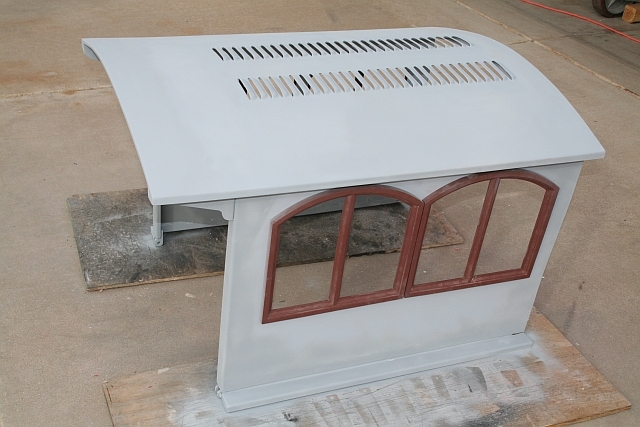 We have a couple of good coats of paint on the end sills and frames, but still have some additional painting to finish and some touch up to complete. We also had to enlarge the throat of the couplers to accommodate our tight radius curves. We still have to add the stake pockets, modify some slats for the pockets, finish the painting and then add the A & P lettering. I am pretty pleased with the way they have turned out so far and they roll great! I had time to pick up my MTC track gauge this week from my friends Kevin and Xavier at I-17 Collision in Phoenix. They did an awesome job matching the paint and painting the gauge for me. I just finished getting it back together earlier today. It hasn’t looked that good since it left the MTC factory! You can check out the before and during photos in last month’s update. We are going to be completing some additional work in our engine house this Fall. We are adding six additional electric outlets and an additional set of switches. We are also going to lay approximately 200 additional feet of underground conduit and wire for some future projects we have planned and tie it into a spare breaker in the electrical box in the engine house. We are also going to be insulating the roof and the clerestory walls in the engine house this Winter. The roof will be R38 and the walls in the clerestory section R19. 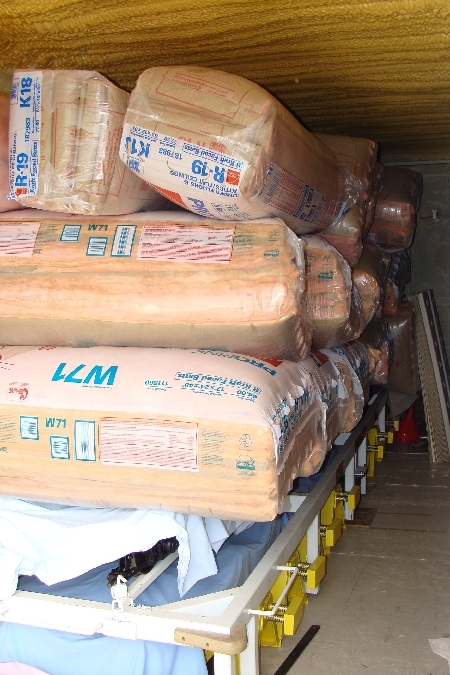 I purchased the insulation and have it stored in one of the other buildings for now. I still need to frame out a few of the areas in the engine house ceiling, but until a few days ago it was still 107 here so I am in no big hurry. We did very little on the G-16 this month; we are still trying to locate at least two nice gas tanks. We would really like to locate four and complete our B unit too. 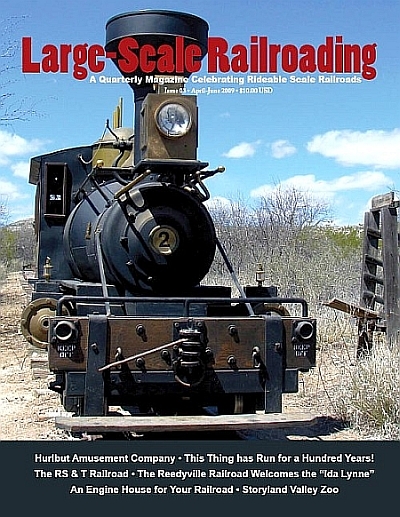 Issue 4 of Large Scale Railroading magazine will ship from Manhattan, KS on October 9. 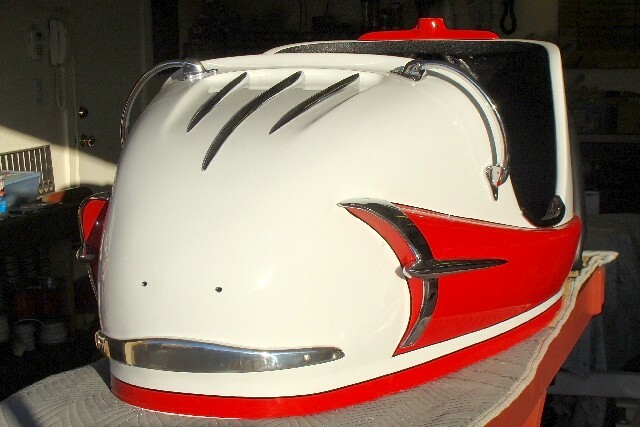 I also started restoration work on a 1960 Dodgem bumper car this month. 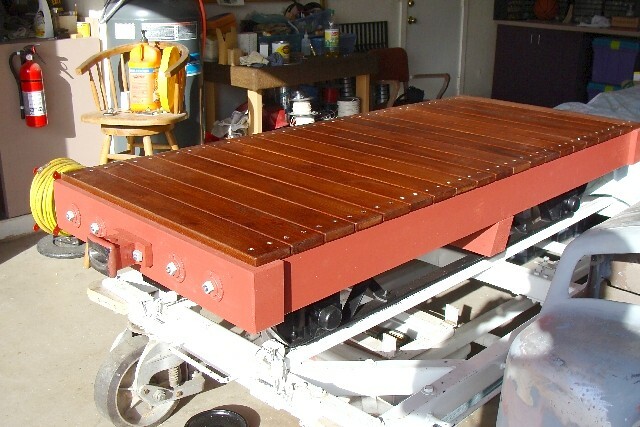 Yes, I know it isn’t railroad related, but it’s another project out in the shop that competes for my railroad time. It will look very cool when it is completed. I had a business trip to Albuquerque, New Mexico this month and due to some last minute schedule changes I had to be there at 7:00 a.m. their time on a Monday morning. As I was traveling on my time on a Sunday, I decided to leave early and check out a few of the interesting places along the route. As many of you know by now, I am a big fan of old Route 66 and many of the old gas stations, motels, diners, theatres etc. 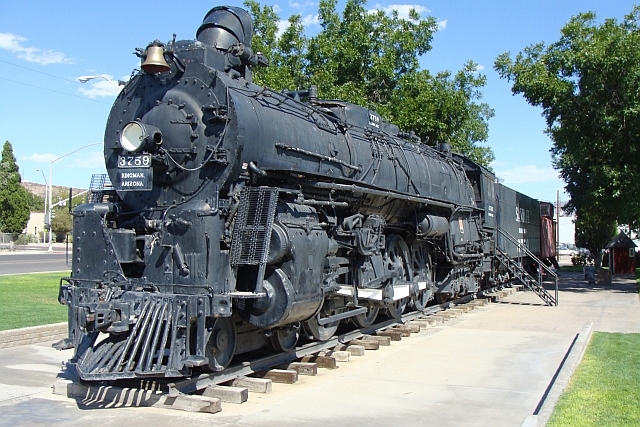 that served travelers along that roadway; I am also a fan of railroad depots, steam engines and NAU. 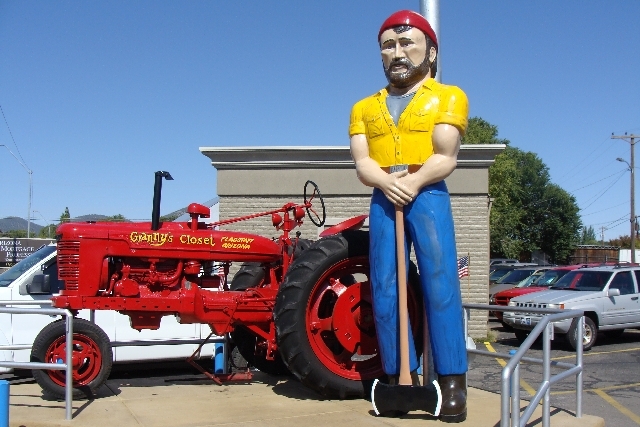 The first stop was Flagstaff where I had to get a shot of the Lumberjack in front of Granny’s Closet. 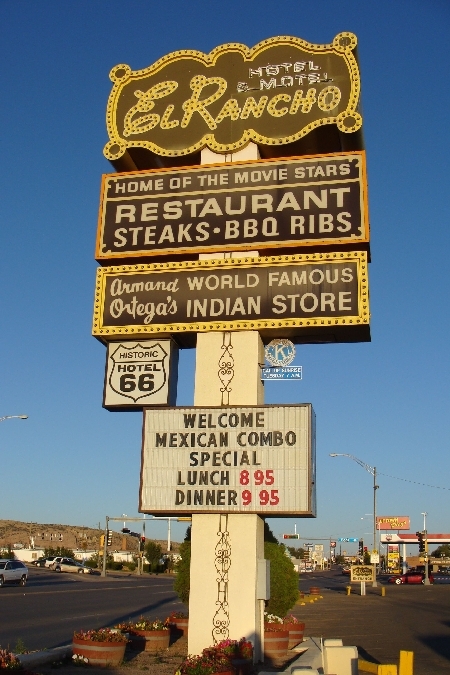 Granny’s was already established as a restaurant and bar near the Northern Arizona University campus when I attended in the med-seventies. 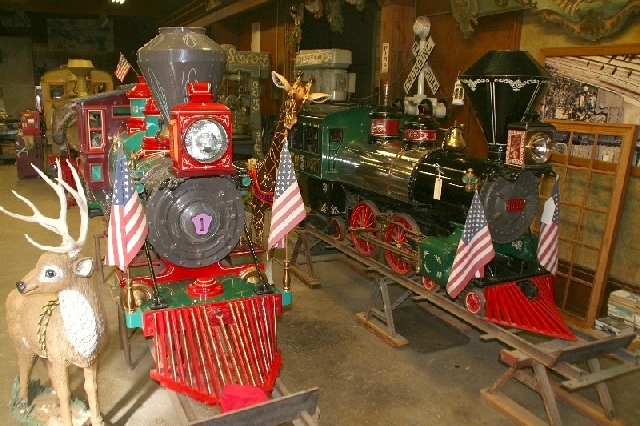 The freight depot (1889), passenger depot (1926) and Southwest Forest Industries steam engine No. 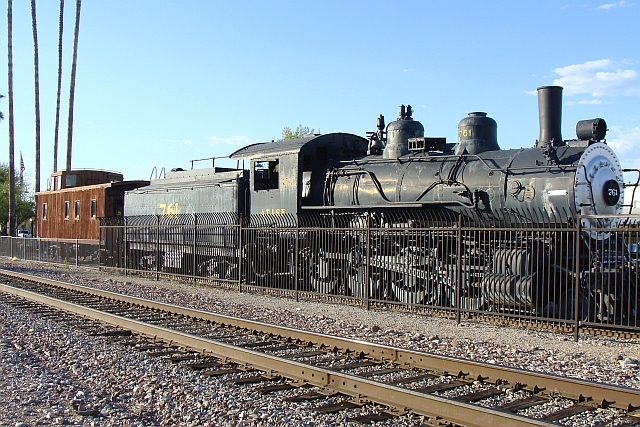 25 which is on display near the freight depot are each interesting stops. 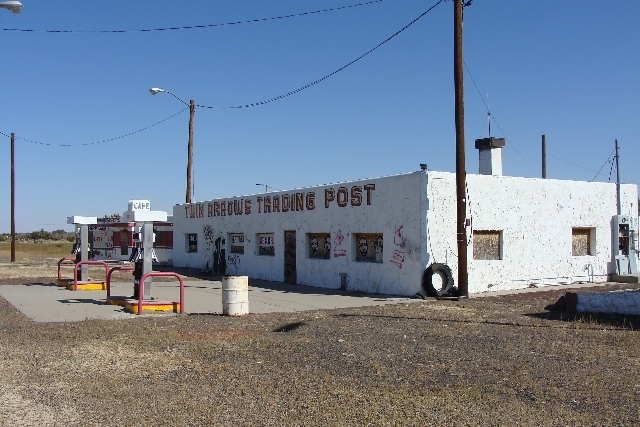 A few miles east of Winona, AZ is the abandoned Twin Arrows Trading Post. It served Route 66 and then I-40 for many years. I remember stopping here when it was still open – maybe 1972ish. A few miles away stood Two Guns - maybe I’ll catch it on another trip. 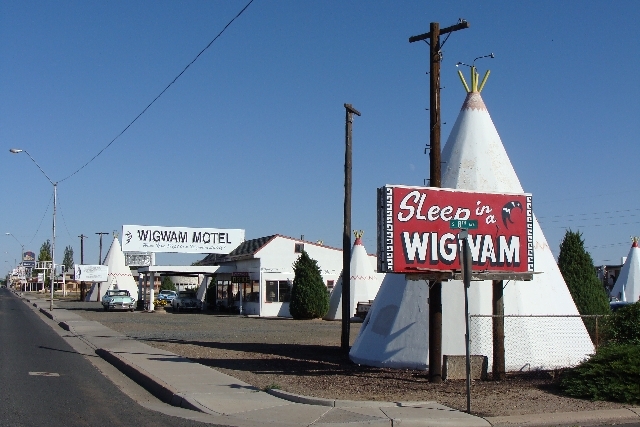 How cool is the Wigwam Motel in Holbrook, Arizona? 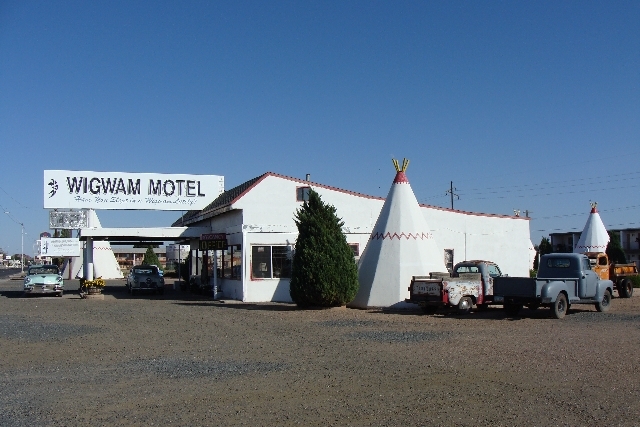 There are several wigwam rooms and a larger number of more conventional rooms for overnight accommodation. The parking lot is scattered with period cars and trucks from the 50s and early 60s. The next stop was in Gallup, New Mexico where I just had swing by the El Rancho Motel. 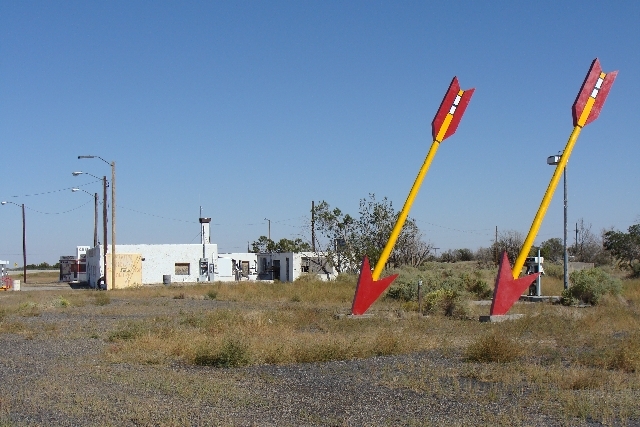 Known locally as the “Home of the Stars”, the motel dates to 1937 and was built by R.E. Griffith, the brother of Hollywood director D.W. Griffith. It was home to several Hollywood Stars when they were filming westerns, primarily in the 50s and 60s, in the beautiful country nearby. They list John Wayne, Kirk Douglas, Errol Flynn, Gregory Peck, Humphrey Bogart and Presidents Eisenhower and Reagan among their guests. The two large signs are pretty amazing after dark, but I was there a bit too early and still had too much ground to cover to hang around until it got dark. I stopped in Grants, New Mexico to top off the gas tank and check the air pressure in a tire. 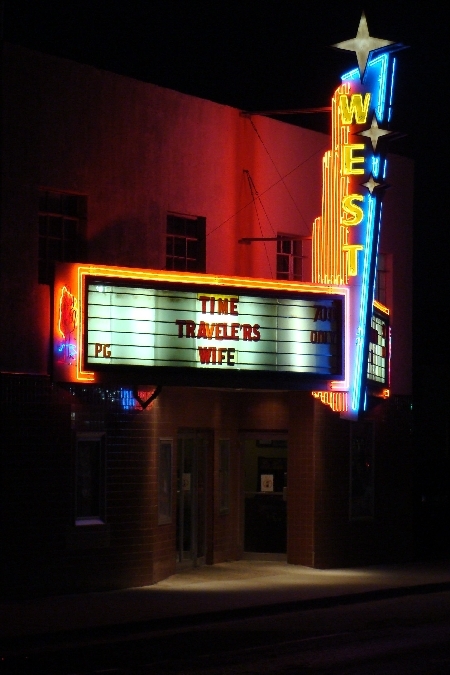 I really like the marquee of the West Theatre (1959). As I entered Albuquerque, I exited I-40 for I-25 and headed south to the Central Avenue exit which is old Route 66 through town. There is a two mile stretch of the old route called Nob Hill which is lined with classic period architecture, retro neon signs, art galleries, interesting restaurants and bars and an old Sinclair gas station that now serves food at tables spread around the old gas pumps. There are dozens of mom and pop “Motor Lodges” along this route, some restored and some not so much. When was the last time you heard the phrase “Motor Lodge”? 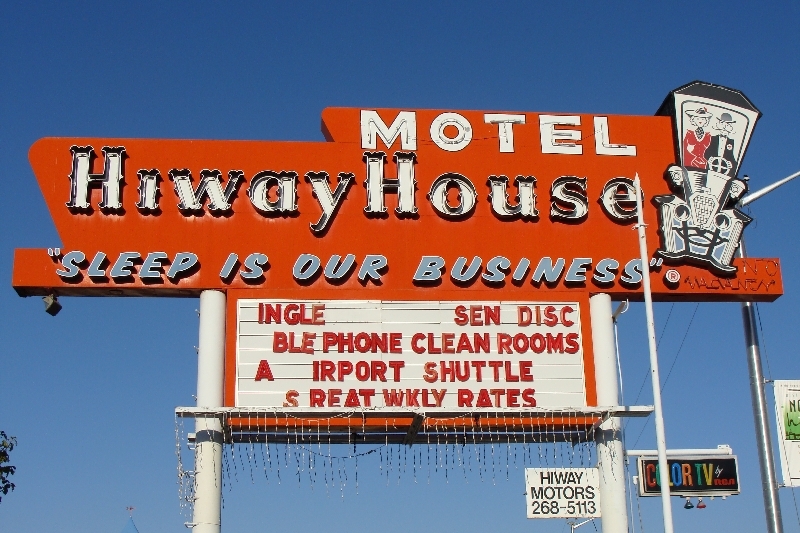 I stayed at The Hiway House Motel (1959) which was once part of the old Hiway House motel chain owned by Del Webb and which operated my engine No. 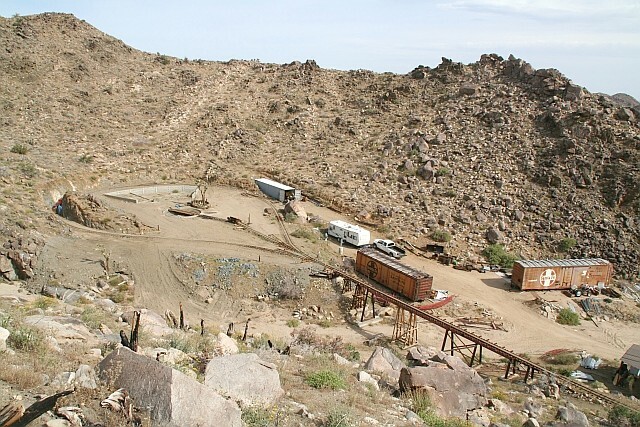 1 at its Phoenix location. It was a long day, but well worth it. It has been several weeks since the last update here and as a result, this one may be longer than most. 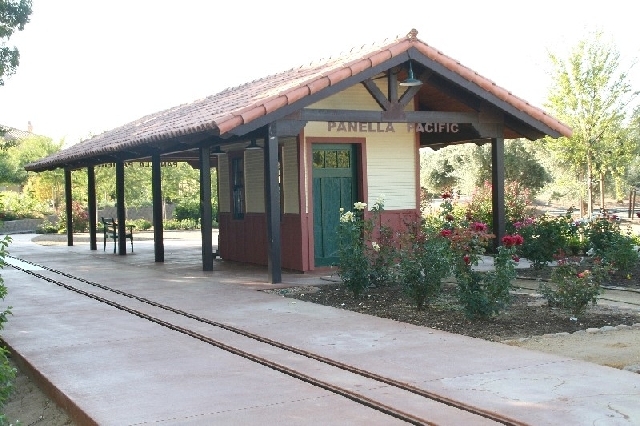 I was able to get two vacation days from work on October 8 and 9 and we headed out to California to visit several large-scale railroad sites after work on the evening of Wednesday the 7th. We started our trip with a tour of the historic Hurlbut Shops in Buena Park. 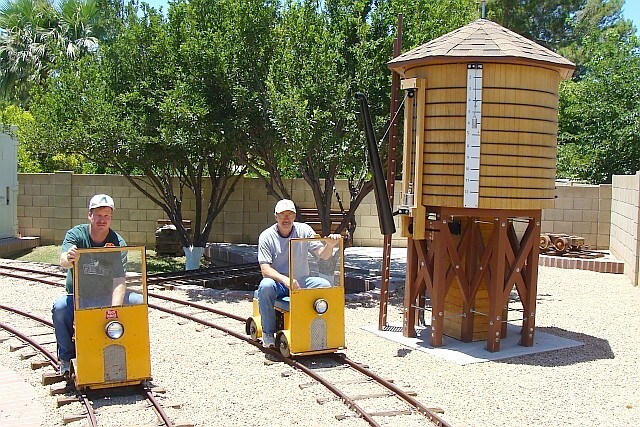 Bud and Lonnie have built some of the amusement industry’s classic and most beloved trains over the years. The hospitality and history was amazing and we spent several more hours there than expected as the day flew by. Our trip then shifted to Northern California where we visited the Panella Pacific Railroad and friends Bob Smith and Marty Melish, the RS&T Railroad of Rodd and Francille Peters, the MP & BH Railroad of Mike and Lois Davis and the new railroad of Del Osso Farms in Manteca, California. It was great to see the recent developments and projects on each of the railroads. 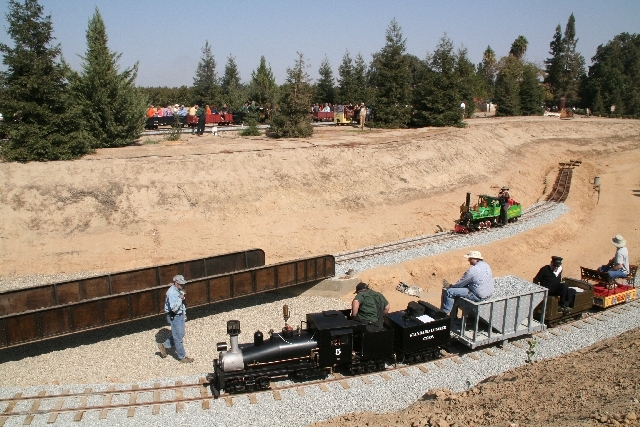 We spent all day Saturday at the Reedley Railfest. 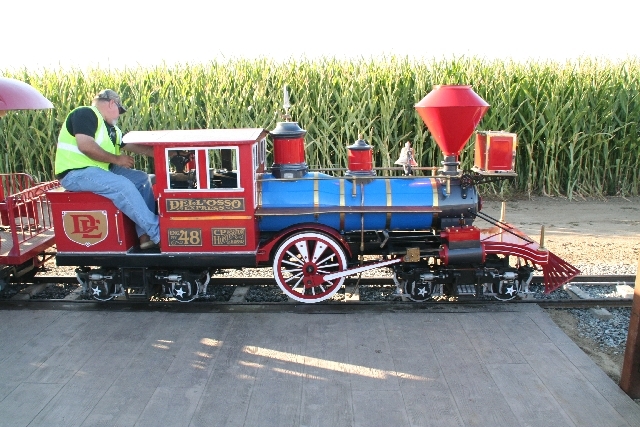 The Hillcrest and Wahtoke Railroad of Sean and Melissa Bautista is the home of the event which attracts motive power, rolling stock and fans from several hundred miles away. We visited with many of our old friends, made a few more and rode behind some beautiful engines. It was great to see the progress on the many projects Sean and Melissa always have underway. I also had the rare and unexpected privilege of a cab ride in the “Marie E” – very, very cool! 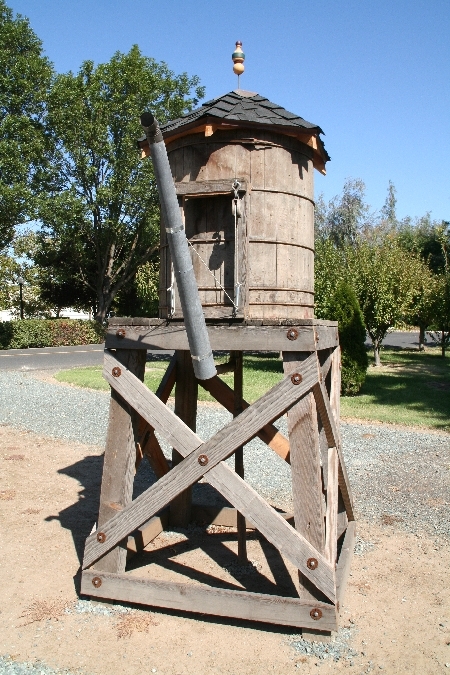 We brought back a wine barrel from Northern California to add ambiance to our engine house loading platform. It looks good out there – thanks Marty. 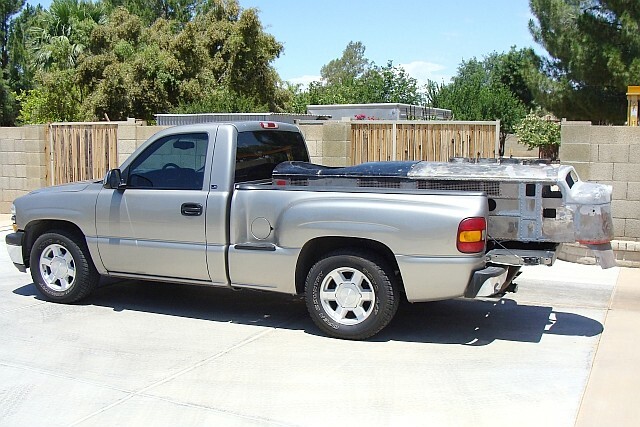 We picked up the stake pockets for our two work trailers when we were at Sean and Melissa’s place in California. We don’t yet have the stake pockets in place. We will also need to modify some slats, finish the painting and then add the A & P lettering. We added several quad electrical receptacles to our engine house. We have a couple more electrical additions to make in the next few of weeks before we start on the insulation and the ceiling. We started on an electrical project we have contemplated for some time to light enough of the backyard to allow night running. 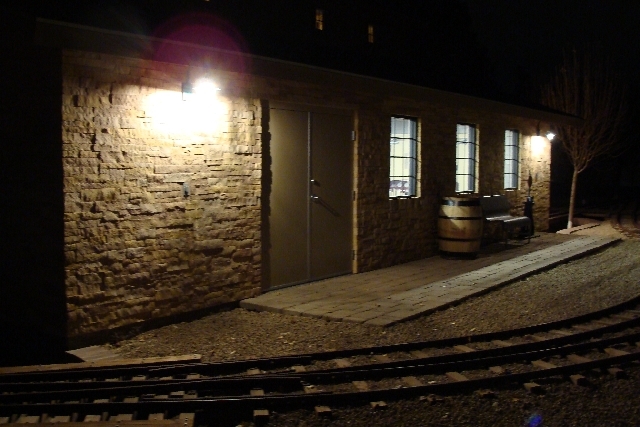 The loading area, the turntable, the water tank area and the switch yard need additional lighting to be able to safely run after dark. 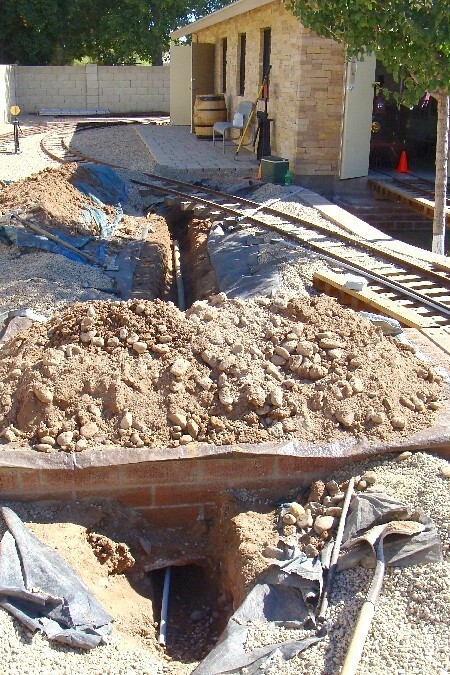 We have hand dug the 280 feet of trench, laid the conduit and pulled the wires for four legs of the five legs of this project. We still have another leg to trench and pull the wires, concrete pads to pour, j-bolts to place and poles to design and fabricate. We hope to finish this project in the spring of 2010. We are also adding another light fixture to the platform side of our engine house as we have plans to expand our waiting platform in that area. The fixture is on site, finding the time to install it has been the challenge. 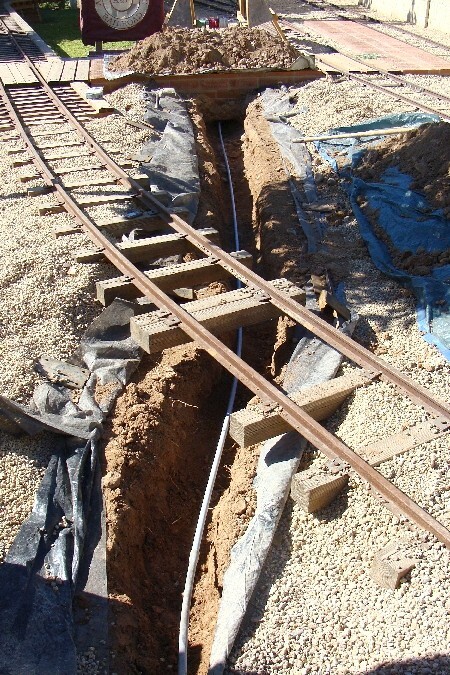 I attended two work days on the F & MV where we placed the sill beams and completed the rough grading for a new spur from the turntable, placed 6 poles and three posts in concrete to secure privacy fences and diagnosed a nagging derailment problem with one of the flat cars. We will repair the culprit truck on our next work day. You may recall from prior updates that we rebuilt the power trucks for an S-16 that one of our friends has been working on for some time. Work on the balance of the S-16 rebuild project has been lagging and we have agreed to complete the project here in Peoria. 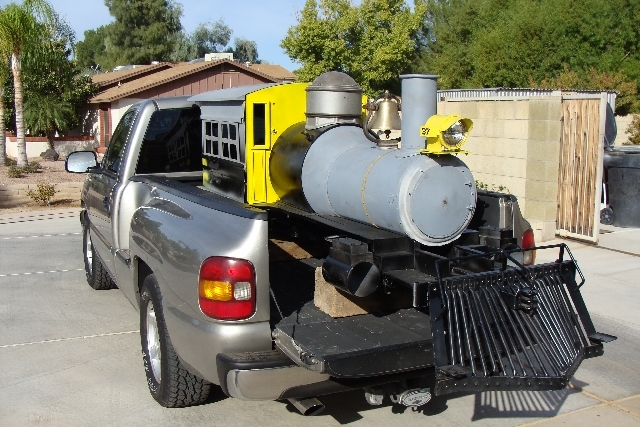 As a result, we have moved 3 truckloads of parts to the shop at the Arizona and Pacific RR. We will work on the restoration, rebuild and reassembly over the next few months in conjunction with the work on our G-16. 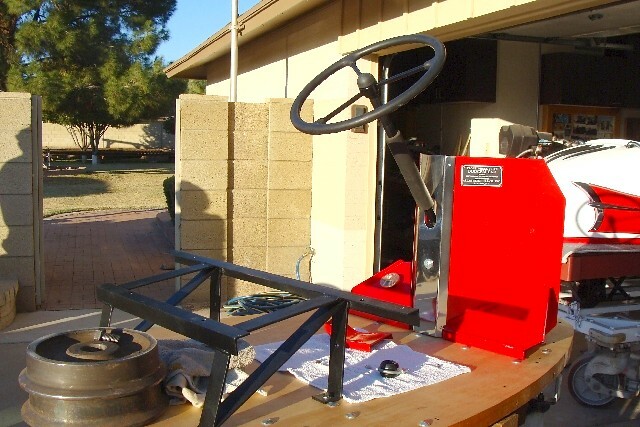 Work on our 1961 Dodgem bumper car made great advances during the past six weeks. The inside of the fiberglass shell was sprayed with the same coating used for spray-in truck bedliners and does a nice job of covering the fiberglass cloth in the interior. 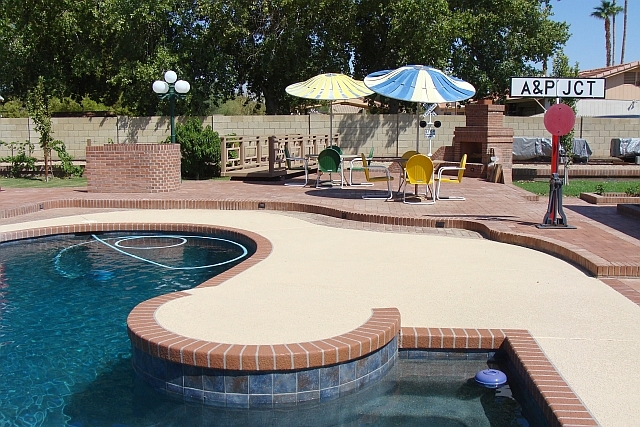 The hardrock maple floor could not be saved and was replaced with a custom reproduction floor also of hardrock maple. The chrome was all dipped, polished and rechromed. 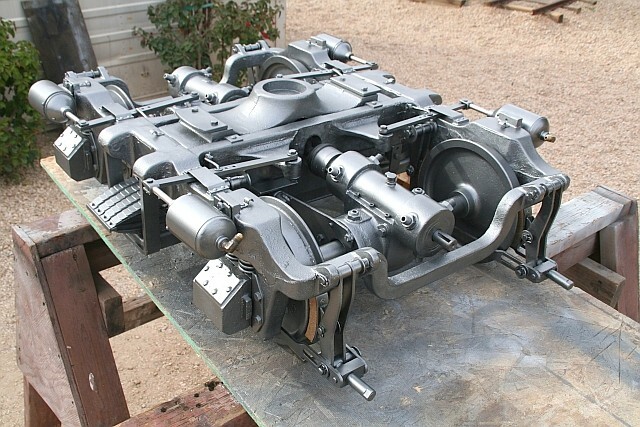 We rebuilt the clutch and motor, cleaned, painted and reassembled the bolt onto the floor parts, replaced the belts and cleaned and painted the drive chains. The seat has been reupholstered. The steering column has been rebuilt, bearings have been replaced and the steering wheel has been reconditioned. The bumper ring required a significant amount of welding and grinding for both structural and aesthetic reasons and repainting. We did very little actual work on the G-16 this month, but did get some good ideas when we visited the Panella Shops on our CA trip. Issue 5 of Large Scale Railroading magazine is taking shape. 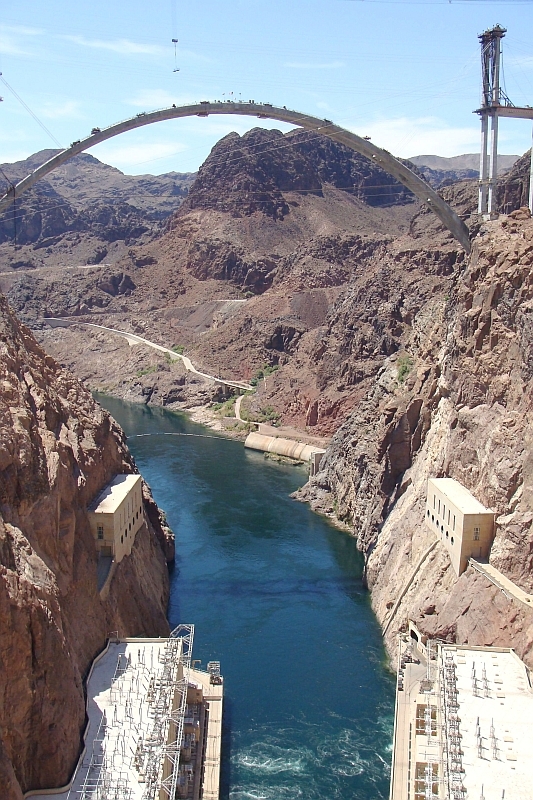 In addition to the 4 ½ days in California and the 2 days in Camp Verde since the last update, I also had 6 business days in Las Vegas and 4 days in Albuquerque. It still seems like we got a lot accomplished under the circumstances. Happy Holidays and safe railroading everybody! Last month we started on a lighting project we had contemplated for some time to light enough of the backyard to allow night running. The loading area, the turntable, the water tank area and the switch yard need additional lighting to be able to safely run after dark. Most of our time this month went to continuing our work on different aspects of this project. 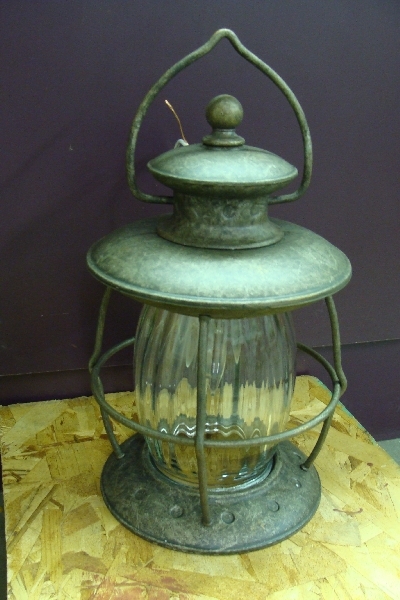 Two of the lantern posts have been completely assembled, welded and wired; only the priming and painting and the installation of the switches, outlets and lantern remains. The other three lantern posts have been cut, drilled and tack welded with the pull wires in place. 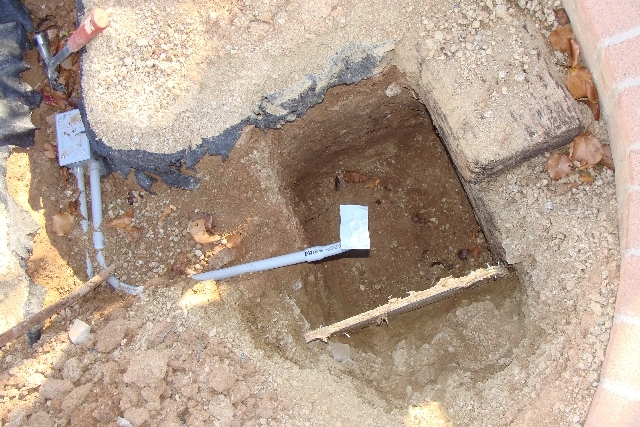 We completed digging the 300 feet of trench under sidewalks and crossing under the tracks several times. We laid the conduit and pulled the wiring. Four of the five concrete mounting pads are complete and the j-bolts and final wiring are in place. We designed the posts to look the period and struggled with the scale. We have the engine house which is people scale and the engines, water tank and turntable which are 5/12 scale narrow gauge scale. We settled for something close to 5/12, but cheated a little. It is amazing how many hours of shovel and pickaxe work not to mention the hours of cutting, drilling, welding and grinding that get lost in projects like this. Dave, Frankie and I have logged 80 man hours on this project so far and still have a long way to go to have it finished, but we have made substantial progress. It should be finished in February/March. We got our new light fixture mounted to the platform side of our engine house. It looks and works great. We have plans to expand our waiting platform in that area. I attended two more work days on the F & MV this month. 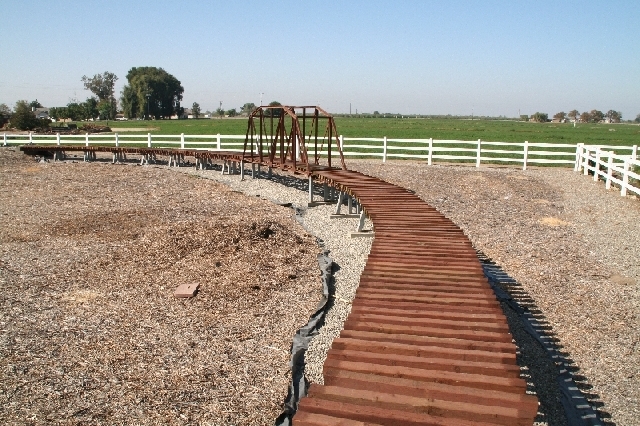 We completed the new spur from the turntable and have 20 feet of a 70 foot privacy fence project completed. We also rebuilt the problem trucks under one of the flat cars and took her around the layout several times without incident. Work on our 1961 Dodgem bumper car is nearing completion and it should be out of the crowded shop in January. I am very pleased with the finished product. It looks like it would have when it came out of the Allan Herschell Shops in Buffalo, New York almost fifty years ago. That said, it is so much work and so tedious I don’t think I want to restore another one any time soon… Besides, I need the space for several upcoming railroad projects. Happy New Year and safe railroading everybody!